Send a notice to your host that a visitor is checking in and ready to get picked up . 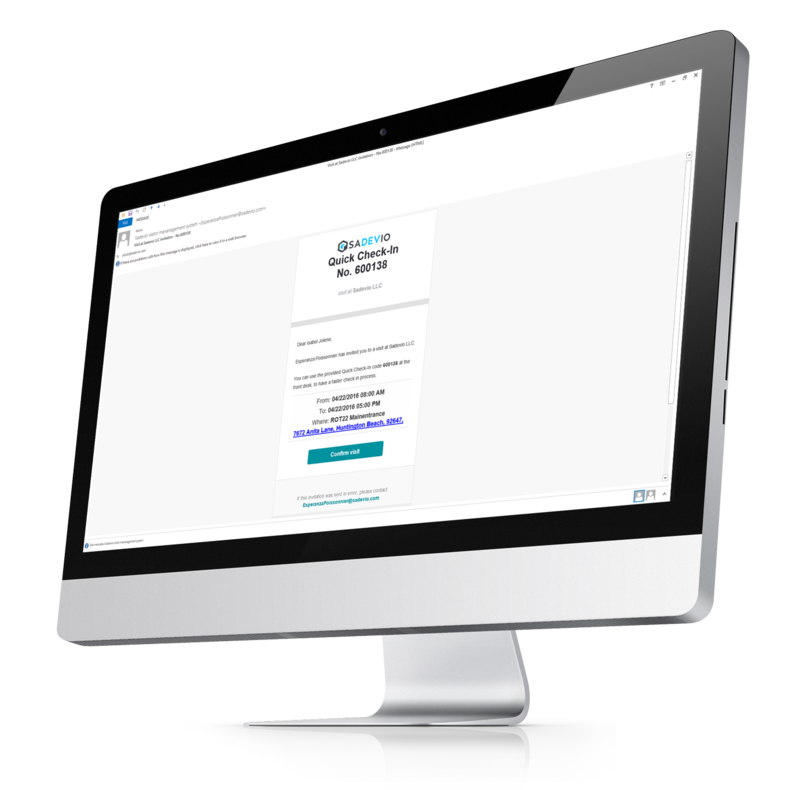 Pre-register your visitor at your specific location and send out an email invitation with all important information such as date, time, and address. Send a reminder to the host that a visitor has to be checked out. SADEVIO visitor management system is able to send custom email notifications in different languages. Simply edit the content of the pre- defined email templates and customize it with your needs. Use your corporate design to add personalized style to your emails.